What can EMDR do for me? I trained at Regent's College of Psychotherapy & Counselling, London. My background is in integrative psychotherapy, with a focus on psychodynamic psychotherapy. I later trained in EMDR (Eye Movement Desensitization and Reprocessing) with the EMDR Association UK & Ireland. My psychotherapy training informs my practice, and the EMDR is a tool for change. I have worked as a counsellor at London Metropolitan University and within charities (Woman's Trust and the Counselling Partnership). I currently work in private practice, and am affiliated to BUPA and various Insurance and Employee Assistance Providers (WSM, Bodycare Clinics, CBT Clinics, Validium, Moving Minds). I therefore have experience of working with a wide range of people and problems. However, the bulk of my experience is with trauma, anxiety & depression, and self-improvement. I have an interest in transpersonal psychotherapy, as I believe the whole person includes the physical, mental, emotional and spiritual. I have no interest in imposing this view in any way, and will only work with it if you express an interest. Prior to training in psychotherapy (1999-2003), I studied modern languages and taught English as a foreign language, after which I worked as a PA and translator in investments banks (Hambros and Lehman Brothers). 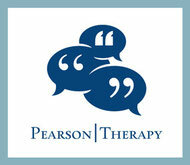 BA(Hons), Post-graduate Diploma in Psychotherapy & Counselling, EMDR Level III.